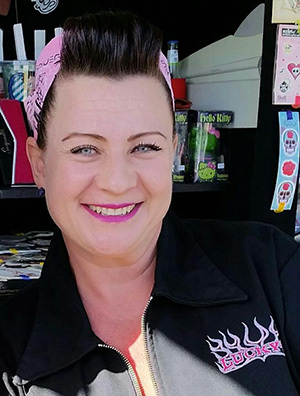 Sh-Boomm is a Queensland business that has been operating since 2001 and has a great range of Hot Rod and Rockabilly inspired apparel and other cool stuff. Here @ Sh-Boomm we love our Rockabilly /HotRod inspired, retro mens clothing and we only stock the best brands and quality available and want to share that with YOU! The Sh-Boomm team are keen hot rodders and love what YOU love, cool hot rods, Rockabilly music and the cool retro vibe. 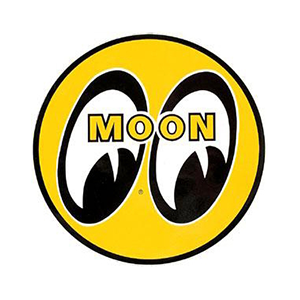 At Sh-Boomm we love everything Hot Rod, Retro & Rockabilly and you will find the best range of Mr Horsepower / Clay Smith Cams T-Shirts, Shirts & Stickers, If you are looking for Mooneyes Hot Rod Rockabilly apparel then you will find it at Sh-Boomm. 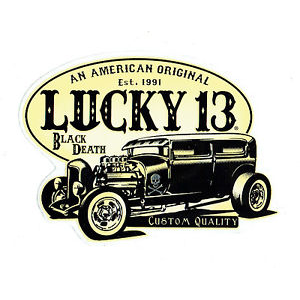 Lucky 13 is one of the coolest hot rod names around and Sh-Boomm have all the coolest Rockabilly Clothing & Caps they sell, Sh-Boomm is a stockist of this licensed USA brand. Caps in all the best Hot Rod & Rockabilly USA brands: Lucky 13, Mooneyes & Mr Horsepower. Do you need a new hot rod or rockabilly style shirt? then look no further Sh-Boomm has all the best brands including Lucky 13, Mr Horsepower, Mooneyes, Steady Clothing and more. The Coolest stickers are available at Sh-Boomm too with hot rod & rockabilly style stickers, skulls, fairy’s, pinup girls and more. And Sh-Boomm only stock GENUINE USA brands, no knock offs here! So if YOU are looking for the coolest hot rod, Rockabilly, Retro gear around then you have found your one stop shop – Sh-Boomm. If you want a Custom Novelty Fun Number Plate made up Sh-Boomm is the place, you can have your Fun Novelty Fun Number Plate made just for YOU with whatever you want on it. That’s right a Fun Plate made just for YOU. These are super cool and a fun gift too. If you cant find it here or just would prefer to chat to someone that’s no trouble call Cindy @ Sh-Boomm on 0403 239 121, please leave your name, contact number and a brief description what you are after and I will call you back just as soon as I can. 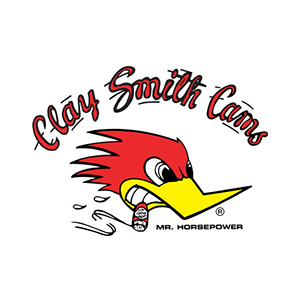 Sh-Boomm is the Qld stockist of Hot Rod / Rockabilly Licensed Mr Horsepower / Claysmith Cams items direct from USA. 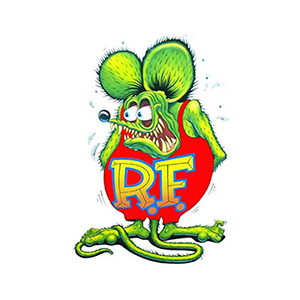 Sh-Boomm is the QLD stockist of Hot Rod & Rockabilly Licensed Moon & Rat Fink products. Cool hot rod gear available @ Sh-Boomm. Sh-Boomm is the Qld stockist of Licensed Lucky 13 items direct from USA.